I knew some reports would suffer without daily maintenance – mainly adding new people to the database. What I did not expect was that my computer would put itself in sleep mode the day I left, meaning it did not even make the regular data pulls, much less run anything during my absence. I’m trying to rebuild some of the files (mainly the playoff odds charts) that needed daily data. 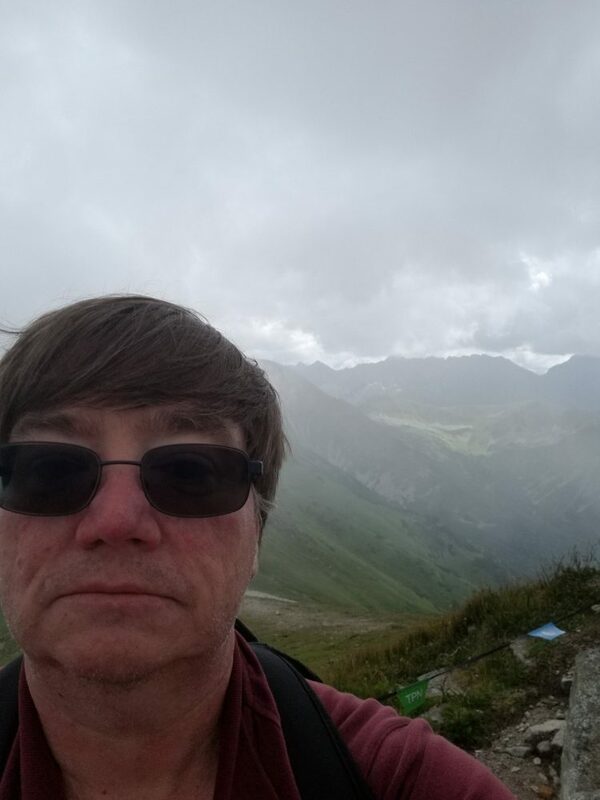 One vacation pic – from 2000m up in the mountains on the Polish/Slovak border. Not much of an expression, but the background was gorgeous! There’s a persistent bug still on the player pages that I mentioned some time ago. On the individual player pages for pitchers who bat and throw with different hands, it’s the batting handedness that is shown on the pitching splits (and only on the splits) as opposed to the pitching handedness. An example is Danny Barnes: http://www.claydavenport.com/dt/barneda02.shtml. This is a super-small thing, I realize. It won’t really matter to me if it’s never fixed; it just causes some temporary confusion once in a while.